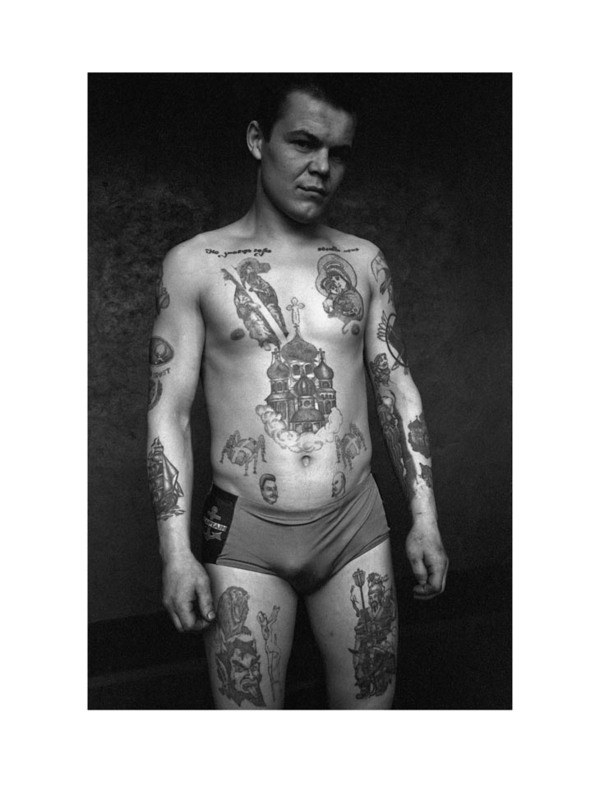 Sergei Vasiliev‘s photographs of Russian Criminal Tattoos are part of a three part encyclopaedia/archive on the subject. 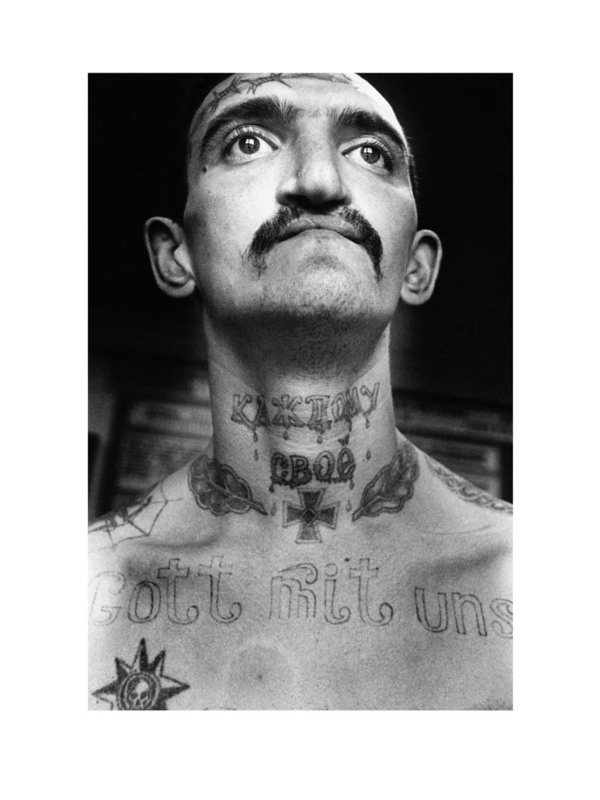 Vasiliev photographed between 1989 and 1993 in prisons and reform settlements across Chelyabinsk, Nizhny Tagil, Perm and St. Petersburg. 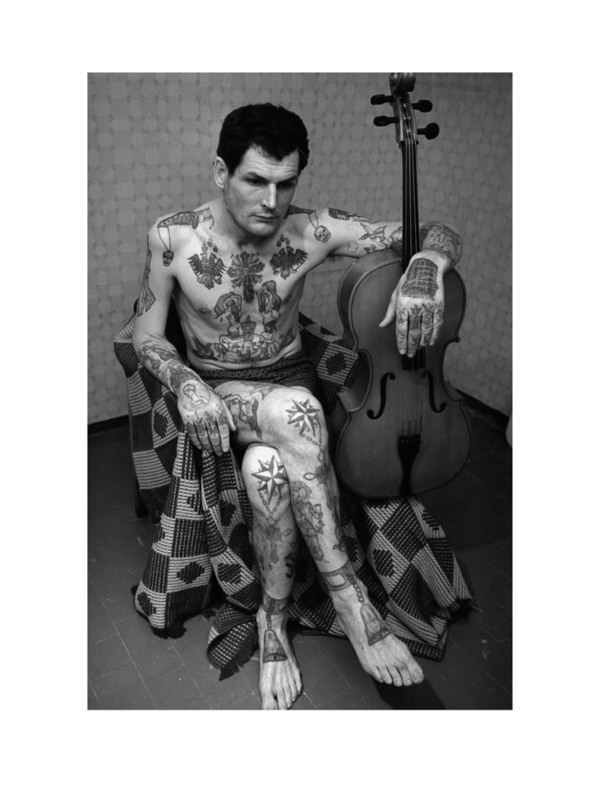 Vasiliev’s portraits are accompanied by over 3,000 tattoo drawings made by Danzig Baldaev during his time as a prison guard between 1948 and 1986. Baldaev had supported of the KGB who used his illustrations to develop intelligence on the convict class. Baldaev’s drawings and Vasiliev’s portraits are currently being exhibited at 4 Wilkes Street, London E1 6QF (30 October to 28 November 2010). The Guardian has this review of the book/exhibition. More about Baldaev in particular at Design Observer. From FUEL Publishing are three video shorts , ,  of the drawings and photographs. More can be found on Vasiliev‘s work at Michael Hoppen Gallery, Saatchi online (images) and the PhotoEye book review.